As previously noted, protagonists Chase and Samantha met under odd circumstances when she tried to seduce him one morning at their local coffee shop. 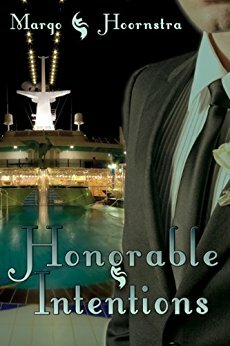 She soon comes to find out the man she thought to be a stranger is best friends with her new boss and she has been assigned to chaperone his teenaged daughter on an upcoming cruise. Having brought Chase and Samantha together, completed the story arcs my editor requested and rewriting the BBM scene from hers to his point of view, I constructed the requisite believable, wrap it all up ending. Satisfied the suspected femme fatale is, indeed, a more than competent companion for said daughters–since he’s along for the ride—Chase eventually also decides she’s the perfect candidate to be his wife. But I needed one final conflict. I won’t burden you with the gory details of what I came up with. Suffice it to say I went for an ending manufactured from a simple misunderstanding regarding upcoming wedding plans that could have been resolved with a five—no make that three—minute conversation. Being a good editor, Kathy called me on it. Even noted I had taken the easy way out, which I realized was painfully true. As I recall that original ending, the only response that comes to mind is – What was I thinking? After I got over the initial shame at my laziness and performed a mental—well, duh!—slap to my forehead, I sorted through some previous incidents in the book. Chase’s focus throughout is the welfare of his daughter first, and preserving his relationship with her second. In fact, in one ‘getting to know you better and begin to care about you as I person I could learn to love’ scene between Chase and Samantha, he confides in her about an upcoming custody hearing his daughter’s mother has initiated and vows to move heaven and earth in order to not lose contact with the most important person in his life. Thank goodness I could still redeem myself which took the form of rewriting darn near the final third of the book ending with a courtroom scene where I brought to life all the struggles, conflicts and antagonists my characters had only talked about before. And, you know what, my editor LOVED it. All in all, writing and rewriting that first book to publication was awesome and rewarding. An experience I wouldn’t trade for anything! From first draft to rewrites to rewrites and more rewrites, I enjoyed every second. Which is why I love doing it over and over again. But then, don’t we all? 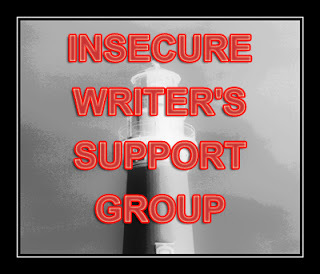 IWSG awesome co-hosts for the September 6th posting of the IWSG will be Tyrean Martinson, Tara Tyler, Raimey Gallant, and Beverly Stowe McClure! IWSG: Anatomy of a First Book – My Editor Wants Me To Do What? IWSG: I Hate You! I Hate You! And I Never Want To See You Again!